When you’re on the train or bus at the end of the day, and you just want to relax, you might turn to mobile games. But the games that we’re used to are usually high adrenaline, fast-paced games like Candy Crush, Temple Run, or Crossy Road — ones that require a certain level of attention that we sometimes can’t afford. I can’t remember the number of times I missed my stop because I was knocked down by a virtual bus on Crossy Road. But fast-paced games aren’t the only mobile games that can help you unwind at the end of the day. Enter Zen Koi, a Singapore-made mobile game that is designed to help you relax and center yourself at the end of the day. The objective is simple: grow, breed, and evolve your collection of Koi. 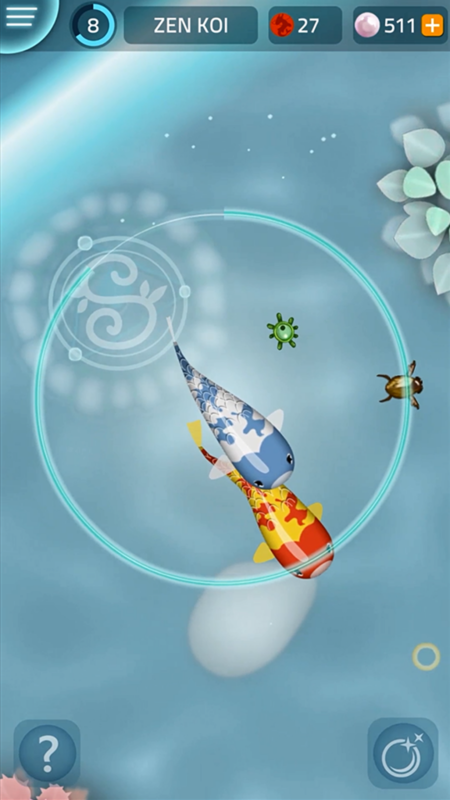 There are 300 possible combinations of Koi within the core game to collect, and a fully-grown Koi will eventually turn into a dragon, like the Asian folklore says. The game may sound deceptively easy (some may see it as boring), but the game has been crafted to hold your attention for much longer than you’d expect. At face value, you wouldn’t expect much. As you open the app, you are presented with a colourful fish, surrounded by many tiny little fish to be eaten. It swims very slowly, even slower than some of your prey. There is no tutorial — the game is intuitive and you’ll quickly learn to tap around to explore your very small pond. Truthfully, I was pretty bored in the first few minutes of playing it. And when I shared it with the rest of the Vulcan Post team, they seemed unimpressed: It’s so slow! Why would anyone want to play it? I set it aside for the day, quickly forgetting about it. But when the day came to a close, and I was waiting at the bus stop for my bus, I gave Zen Koi another shot. And by the time I reached home, my Koi had grown from level 1 to level 6. And I was hooked. The addiction to this game is not something you would expect, as it comes from a very soothing feeling that you crave when you’re feeling exhausted. Everything from the music to the way the Koi satisfyingly munches down on its prey brings a soothing high, and even more so when you’re chasing down other Koi to mate with. The other addiction factor comes from the need to collect. 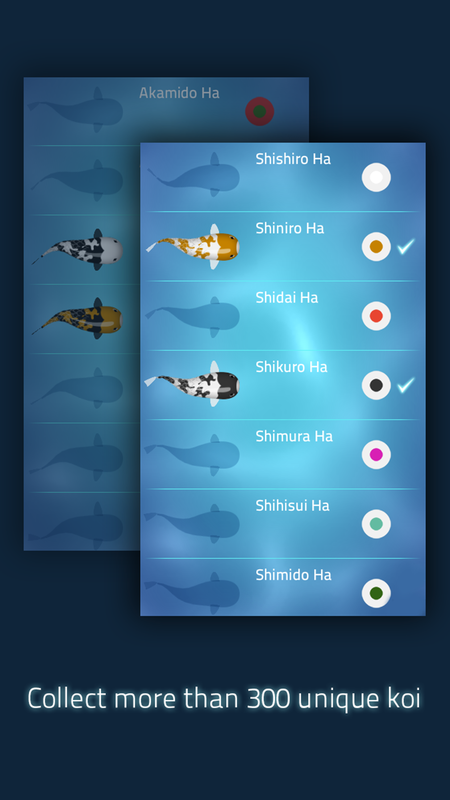 The app is centered around a collection of Koi that you can only grow by chance. And as you grow your collection, you will have a larger variety of beautiful Koi to share with your friends, and even gift to them if you wish. Many mobile games are able to get people hooked on the first try, which is something that this game lacks. First impressions are much more important in the app world, and with just a few Koi to sell itself, it’s a little difficult to convince people to use this app. One great thing that is certain is that it will be a great game for all ages. My first play convinced me that it would be something my father would actually be able to play and keep up with — in fact, with much more patience and free time on his hands, he may actually be better than me at this game. The act of collecting is a universal concept that everyone from young children to those in their golden ages will understand, and if enough people give it a little time, it could be a great companion for family gatherings and long bus rides home. So is it the mobile game of the year? Probably not. But it may be for me, if I continue playing it at this rate. I’ll definitely be playing it daily, even right before I sleep. It doesn’t have the typical look of a viral app, but it certainly has the feel of it. 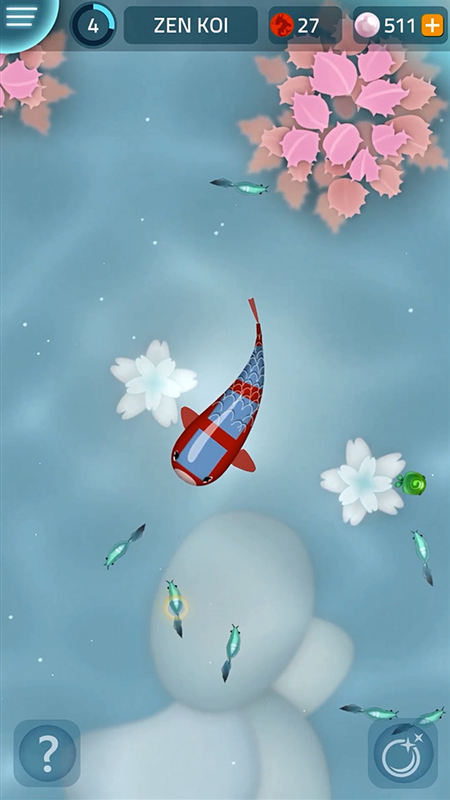 Zen Koi is available on iOS and Android.